MotoRefi aggregates lenders, including credit unions and community banks, that will refinance auto loans. Users fill out a short, online form and receive new rate offers within minutes. Homeowners refinance their mortgages all the time, but refinancing an auto loan isn’t something most borrowers consider. Arlington, Virginia-based startup MotoRefi thinks it has found a way to make it easy to do. 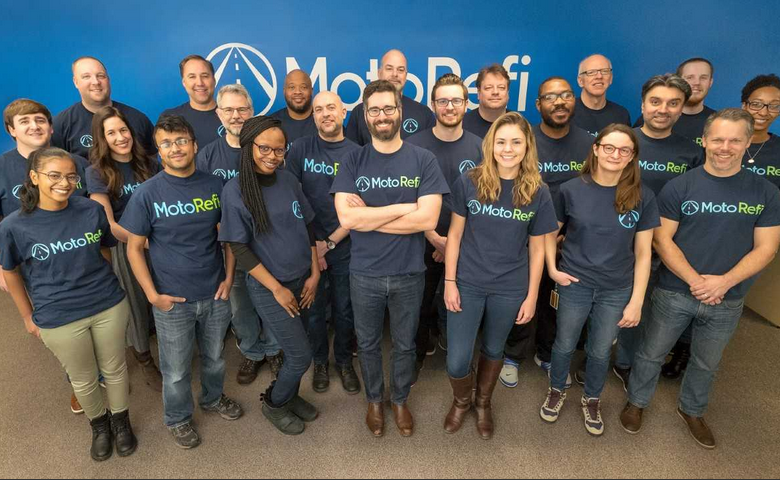 MotoRefi has raised $4.7 million in venture capital funding to ramp up its auto loan refinance platform. Investors include Alexandria-based Motley Fool Ventures, which launched its first venture capital fund earlier this year; Alexandria-based QED Investors and Cambridge, Massachusetts-based Accomplice, whose early-stage investments have included DraftKings and PillPack. QED Investors, an early MotoRefi backer, was among early-stage investors in other online consumer finance sites, including Credit Karma and SoFi. MotoRefi was a QED incubator startup. Its employees include former lenders and financers. Accomplice co-founder Ryan Moore has also joined MotoRefi’s board of directors. MotoRefi aggregates lenders, including credit unions and community banks, who will refinance auto loans. Users fill out a short, online form and receive new rate offers within minutes. There is no impact to your credit for just taking a look to see what refinancing options might be available. Borrowers can also upload, email or text their vehicle documentation to MotoRefi’s platform, which handles all Department of Motor Vehicle paperwork on behalf of the borrower. MotoRefi said its customers save an average of $100 per month on their existing auto loan. The company charges a $399 fee for its refinance processing, though that fee is rolled into the new loan amount. It currently does not have refinancing options for motorcycles or commercial vehicles, and does not help refinance vehicle leases. “MotoRefi provides a unique service that addresses a real pain point for consumers, and they’ve built an incredible product that is easy to use,” said Moore. “They also create real value for lenders,” he said. MotoRefi offers other services, including key replacement coverage (a lost keyfob can cost more than a smartphone to replace), total vehicle loss protection and extended vehicle protection that covers repairs.